At Taylor’d Loft Conversions Ltd is it our promise and commitment to you to provide a high quality service. At Taylor’d Loft Conversions we provide nothing but the highest quality of workmanship. As specialists in loft conversions in Surrey, we understand that each loft space is unique and requires an individual approach to make use of the space most effectively. We take tremendous pride in our excellent customer relationships and outstanding client satisfaction rates. Nothing is more important to us than providing you with a loft conversion that you are 110% happy with! The initial stage of loft conversions in Surrey will involve erecting the scaffold and the first day of work is booked out for delivery of materials for the conversion. Our access point to the loft is made temporarily through the roof, so you need not worry of any disturbance coming through the house. During the conversion, we have our tradesmen primed and ready to meet the requirements of your new space. As soon as they are needed they’ll be drafted in to complete their part of the work. Our detailed and well managed planning processes allow us to run a smooth and efficient operation, thus enabling us to provide you with the best service possible. Over the course of the project we will organise the three points at which your local building inspector needs to view the conversion, first at structural, then insulation and finally the sign off. After 6-8 weeks you work will come to a close and you’ll be left with the highest quality loft conversion in Surrey, and ready for you to use at your leisure. There are a variety of ways we can go about creating your new loft space dependent on your budget, time-frame and desired final outcome. Toggle the menu below to find out more about each of the different types of loft conversion. 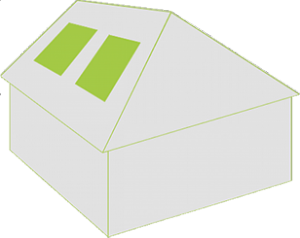 A Velux or rooflight conversion is a simple, attractive and cost-effective loft conversion solution. Compared to other types of conversions, a Velux loft conversion does not require a lot of time to finish or plan. Planning permission isn’t usually required with such a conversion, as the procedure doesn’t extend your original roof line. But it is still a good idea to check with your local planning authority. Taylor’d Loft Conversions can take care of that on your behalf. 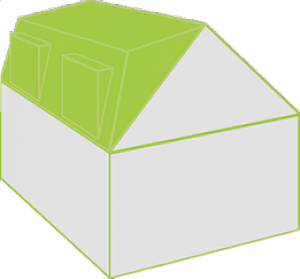 A Dormer conversion is an extension that allows additional room within the loft space. Dormers are usually extended at the rear of the property, and it can be done in a number of different styles. If you do not have enough internal space or want to increase the usable floor area, a hip to gable conversion is your best option for extending your loft space.This type of conversion requires major structural changes to your roof. 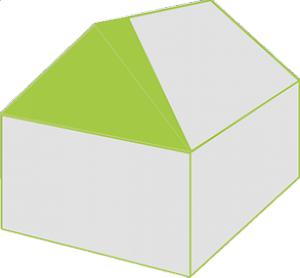 The roof of your building is often removed and then a gable end is built to extend the loft room and floor space. A hip to gable conversion is ideal for an additional bedroom or home-office. Moreover, it does not necessarily require a planning permission, as long as the design is built within your permitted development rights. If you are not sure about it, it is strongly recommended to check with your local authority or allow us to submit all the relevant paperwork on your behalf. Mansard loft conversions are usually more expensive than other loft conversion types. It requires significant changes to your property, and therefore, almost certainly requires planning permission. Mansard loft conversions are generally carried out on the rear of your property, and it has two slopes. 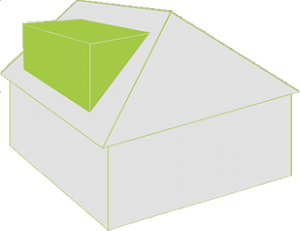 The top of the roof is almost horizontal and the lower section is usually a 72-degrees pitch. A mansard loft conversion is your best bet if you want to maximize your property’s loft space. Such a conversion gives you plenty of additional space and different options. Although a mansard loft conversion can be expensive, you can utilise the additional space with a fantastic new room, ideas could include a new bedroom, a home-office, or even an home cinema.